Drama free family life certainly isn’t the case for Rahul and Arjun Kapoor, two brothers and the main characters in the Kapoor & Sons movie. They are forced to return home to India and to be reunited with their family and friends when their grandfather has a heart attack. As the movie progresses, we witness the unraveling of a dysfunctional family who harbor everything from secrets to jealousies to other often regrettable issues that may have you reaching for a box of Kleenex. Bollywood movie star Alia Bhatt and Ratna Pathak also star in the film, with story lines that include misunderstood love and loss and misplaced good intentions. But perhaps the most needed movie mention comes in the form of Fawad Khan, who plays ailing writer and brother Rahul and who has received critical acclaim for his role in the movie. While the movie exposes and navigates common sibling rivalries, affairs and betrayals, Kapoor & Sons also addresses the controversial issue of India’s LGBT movement. The controversy arises because it is currently illegal to be gay in India and yet Khan still made the decision to step up and play a gay character. It will hopefully be a step in the right direction for acceptance for the LGBT community, especially in a time when there is still so much homophobic crime. Will Amarjeet finally get his sought after family photo? Will the movie fulfill its promise to charm and delight your whole family? 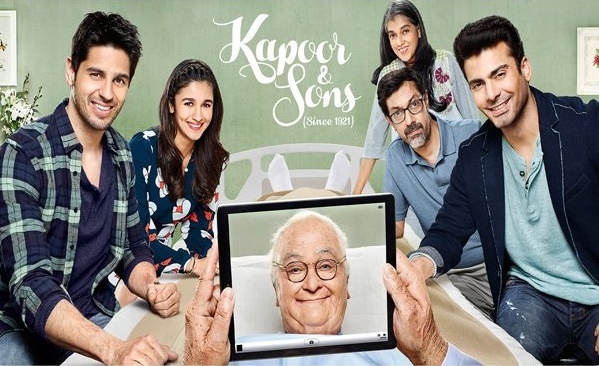 Find out when Kapoor & Sons premiers on Colors TV, coming soon!